Spring is an unavoidable thing for making pens, dolls, sofa etc. things. The demand of spring is found all throughout the year. You can make spring of iron, copper or steel with the Automatic Spring Making Machine. At first you have to buy copper wire or iron wire or steel wire from the market. It is available in cheap price in the market of Barobazar in Kolkata. The price of the iron wire is Rs.50 to 60 per kg. The price of the copper wire is approximately Rs.400 to 500 per kg. the price of the steel wire is approximately Rs.300 to 400 per kg. Now roll up the wire on the roller of the machine and start the machine. Spring will be made automatically in indicated size. Now cut the spring as you want. 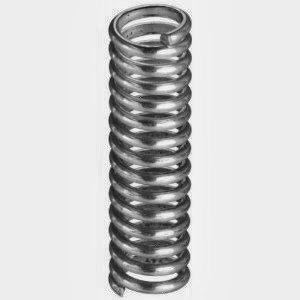 You make upto 30 kg spring per hour with the Automatic Spring Making Machine. It needs 2 hp motor and 220 to 440 volts to operate the machine. The price of the Automatic Spring Making Machine is approximately Rs.1, 50,000. The price of the Semi- Automatic Spring Making Machine is approximately Rs.50, 000. The price of the Hand-operated Spring Making Machine is approximately Rs.10, 000. You can find many companies manufacturing a wide range of Automatic Spring Making Machine.